Television is considered one of the most important media of communication in Mexico. However, transmitting broadcast signals to some of the country’s remote areas can be challenging. That is why the Center for Research and Applied Sciences (CIICAp) at the University of Morelos, Mexico (UAEM), embarked on a project to improve antenna signal stability. 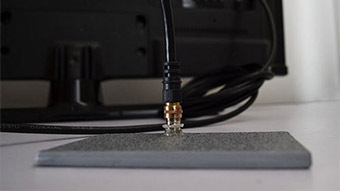 This research resulted in a miniature antenna that could potentially bring TV broadcasting to remote, rural areas in developing countries, therefore making education, culture and entertainment available to populations that could not afford it otherwise. Download the full article for more information.